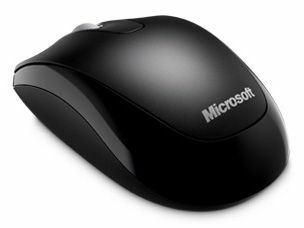 Microsoft has this week released a new wireless mouse aimed at those who want a compact but high quality peripheral for their laptop. The Wireless Mobile Mouse 1000 uses a nano transceiver on the popular 2.4Ghz frequency and has a claimed battery life of 10 months. Microsoft is also claiming the mouse will work around 30 feet away from your laptop which sounds great but, in reality, we can't see much of use for this. Unless you are doing a presentation in a really long room. Microsoft is boasting that the Mobile Mouse 1000 provides 'exceptional performance, is visually attractive and extremely reasonably priced'. With an estimated retail price of £14.99, it's definitely reasonably priced, but we'll leave you to be the judge of the mouse's sartorial elegance.